Project Arts Centre is delighted to partner with Dance Ireland, Dance Limerick and Firkin Crane, Cork, in announcing the recipient of the Dance Ireland Commission Award. In a major new initiative, Dance Ireland, in partnership with Dance Limerick, Firkin Crane, Cork and Project Arts Centre, announce one of Ireland’s leading male choreographers, Breandán de Gallaí, as the recipient of the €17,000 Dance Ireland Commission Award. Through the Dance Ireland 21 Commission, a legacy fundraising project, Dance Ireland raised €17,000 for the creation of a new choreography to mark its 21st anniversary year in 2013. In addition to the cash award, choreographer Breandán de Gallaí will receive rehearsal, presentation and production support in Dublin, Limerick and Cork before the premiere of his new work in association with Project Arts Centre. 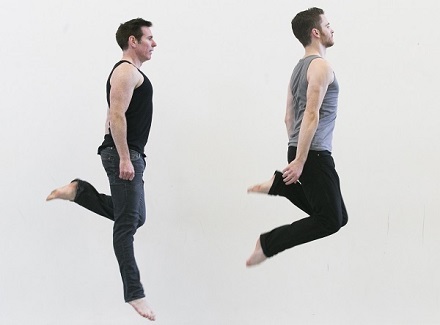 The dance project at the centre of the Dance Ireland Commission Award is Linger, a duet for 2 male dancers, Breandán de Gallaí (choreographer and dancer) and Nick O’Connell (dancer). Exploring themes such as identity, sexuality, and the aging dancing body, Linger looks at how we manage tension in our lives. The Dance Ireland Commission Award is the first dance partnership project of this scale to be undertaken in Ireland, marking a significant development for dance. Dance Ireland is pleased to be able to present this creative and ambitious project with the leading dance organisations throughout the country, investing in the creation of new and original work, which both supports innovative choreographic practice and stimulates audiences. Linger tours to Project in January 2016. Book tickets here. The dance piece at the centre of the Dance Ireland Commission Award is Linger, a duet for 2 male dancers, Breandán de Gallaí and Nick O’Connell, one a mature dancer, the other in his dancing prime. The work seeks to explore themes such as identity, sexuality, and the aging dancing body, and how we manage tension in these areas. One of Freud’s tenets is that the human is driven towards tension reduction. This investigation will look at how we feel empowered through tension manipulation. Breandán’s artistic ambition is to explore the expressive possibilities of the traditional Irish dance form and to use this expressive potential to engage with and address issues and themes rarely explored in traditional dance. Although Irish traditional dance is Breandán’s main corporeal starting point, as choreographer he will be drawing on seminal moments in his dancing career. Working with Jym Daly (composer/arranger), Declan English (photographer) and Terry O’Leary (videographer), Breandán will further explore the theme of tension through musical and visual landscapes. Sampling, manipulating and altering sights and sounds, Breandán’s creative team will further explore the potent sense of suspension. Moving and still images will be created that will form the production backdrop and will also push the ‘Linger’ narrative – that sense of being on the cusp something – those moments before climax. Breandán de Gallaí’s involvement with dance is multifaceted. As a choreographer he has created several works, most notably Noċtú and Rite of Spring. In 2011, Noċtú completely a 5-week residency at the Irish Repertory Theatre in New York. On the back of this run the show was nominated for 2 Drama Desk awards, “Outstanding Choreography” and “Unique Theatrical Event”. His second work, Stravinsky’s Rite of Spring premiered at the opening of the Fleadh Fringe in August 2012 attracting 14,000 spectators. 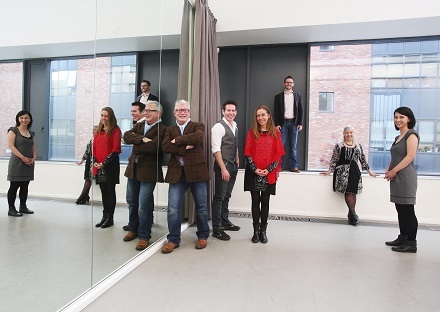 The work received a nomination for the coveted Allianz Business to Arts Awards (Dublin 2012). 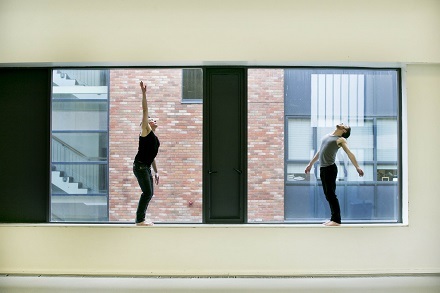 Breandán held the position of Artist in Residence at the Irish World Academy of Music and Dance in 2008/9 and was Cavan Dance Artist in Residence in 2011/12. As a dance scholar his interest lies in the contemporization of Irish dance. He completed a performance-based doctorate in 2013, the first of its kind in the world. His PhD in Arts Practice title is – “Imeall-Siúl: A Choreographic Exploration of Expressive Possibilities in Irish dance”. He earned an MA in Ethnochoreology in 2009, and was external examiner for the MA in Traditional Irish Dance Performance at the University of Limerick from 2004 to 2008. Breandán was acting Course Director of the Arts Practice PhD programme at the University of Limerick for 2012. As a dancer, Breandán toured with Riverdance from 1994 to 2003, 7 years of which he was principal dancer. He returned to Riverdance as Dance Director from 2007 to 2013. Breandán’s training is predominantly in Irish step dancing, but is passionate about many dance genres and in 1988 he graduated from the Gus Giordano Dance Academy, Chicago, having been awarded a scholarship to study ballet, modern, jazz and tap dance.